SAN FRANCISCO — The California Coastal Commission turned 40 in November, a milestone for the state’s coastal protection and planning agency. On Nov. 7, 1972, California voters passed Proposition 20, the California Coastal Zone Conservation Act, which created and funded the Coastal Commission to plan for and regulate new development and strong policies to protect public access to and along the shoreline. The passage of Proposition 20 was accomplished through the work of the Coastal Alliance, a campaign organization made up of more than 700 environmental, civic and labor organizations. The proposition passed with more than 55 percent of the vote, pushing California toward a commitment to protect the coast through comprehensive planning and regulation of coastal development. The proposition put in place an interim four-year program to regulate development and directed the newly-created Coastal Commission to draft a long-range plan to guide future conservation and development in the coastal zone, using maximum public input. In late 1975, following hundreds of public meetings, the California Coastal Plan was submitted to the legislature and became the foundation for the California Coastal Act of 1976. Over the last four decades, the Coastal Act has worked to prevent or redesign the development of large-scale projects that could have damaged coastal resources, such as a toll road through a coastal state park in Orange County, offshore oil and natural gas facilities, and a destination golf resort on the Hearst Ranch. More recently, the Coastal Commission limited great amounts of residential and retail development planned at Huntington Beach’s Bolsa Chica Wetlands, protecting large amounts of sensitive habitat. While many view the Coastal Commission’s intensions as a benefit to California, some see the regulations and permitting requirements as too stringent on developers. Last year, a mixed residential and retail development was planned in East Long Beach called 2nd+PCH that to replace an outdated and potentially unsafe motel along the waterfront. The Coastal Commission suggested the city make changes to their coastal development plan before submitting the project for approval — a time-consuming and expensive process — citing density restrictions and height limits as their reason. The Long Beach City Council then rejected the plan outright, as it was clear only major changes to the developer’s plan would satisfy the Coastal Commission’s height restrictions and density requirements, which would have ultimately meant a new plan would be required. Los Cerritos Wetlands Land Trust spokesman and former Coastal Commission chairman Mel Nutter explained how the bureaucracy can slow down development. The result was a rejection of the plan from the city, and the continued existence of a rundown hotel along the waterfront. Proponents of the Coastal Commission cite the continued public participation and strong local planning efforts with local governments as positives that the Coastal Act has instilled. Over the years, protection from the cumulative impact of poorly located or designed residential development has been achieved for the scenic and environmental quality of places such as Big Sur’s coastline. 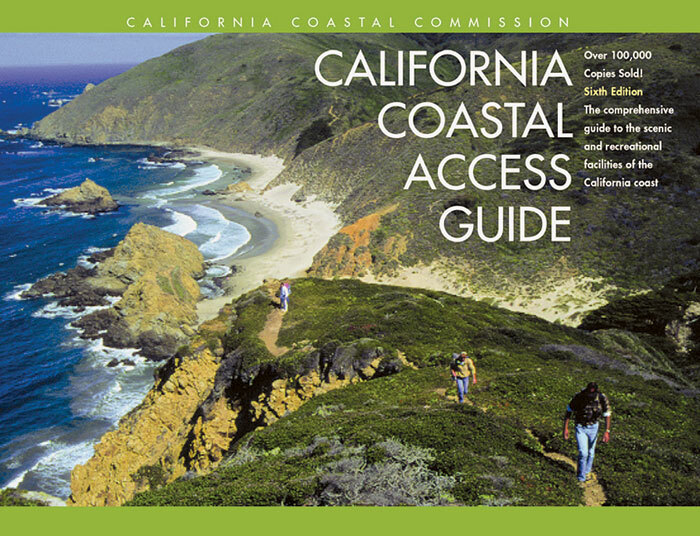 Over the 40 years since it was created, the Coastal Commission and local government have been instrumental in preserving thousands of acres of coastal habitat and rural agricultural land, protecting and creating public accessways and trails to and along the shoreline, and improving the overall quality of the built environment. “After 40 years the jury is in: We can have a strong coastal protection program and a strong coastal economy,” said Coastal Commission executive director Charles Lester. “People come from near and far to experience and recreate on our coast because of our ongoing commitment to protecting it.